Need cool male puppy names to help find a name for your new Cocker? You’re in luck! Our comprehensive database holds hundreds of cool names for puppies to help inspire you. Check out some of our little boy names below! If you don't want to read the tips on choosing your puppy's name below you can skip straight down to our selection of male puppy names by clicking on this link. 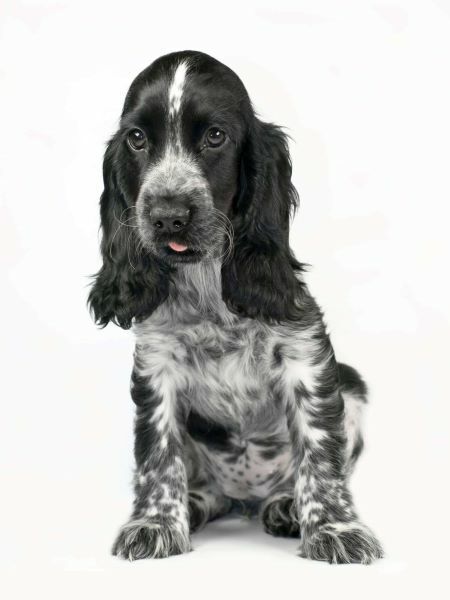 It's good to choose a name that suit's your puppy's personality, but don't be tempted to give him too 'girlie' a name simply because he's a cute little Cocker Spaniel puppy. It won't be too long before he grows up to be an adult male so ask yourself if his new name will still suit him when he's no longer a puppy? Why not consider something that sounds a little more macho? For example, Hannibal, Butch, Solomon, or Tiger - especially if he's a tough or courageous little puppy. If your Cocker has any particular traits or characteristics, that stand out, why not use those traits for your inspiration? For example, if he loves to dig, why not name him Digger? If he's constantly bounding about, what about Tigger? I'm sure you get the picture! You could even use the color or texture of your dog's coat as the basis of his name if you wanted to. If your puppy's coat is golden in color, why not name him Sandy, Ginger, or Goldie? Keep your puppy's name short and snappy - a couple of syllables is about right. Keeping his name to two syllables will make it much easier to communicate with your puppy when training. It will also be easier when using the recall command and he'll learn his name much quicker too. If you'd like to read the full version of tips and advice for choosing your puppy's name, just follow this link. You'll find a good selection of male puppy names below to help you choose the best one for your Cocker Spaniel. I recommend you short-list a few of the best-sounding names that you really like (because if you're anything like me, you'll forget them) before making your final choice. Want More Choice Male Puppy Names? I wish you good luck and hope it's not too long before you find that special name for your new little boy puppy! If your shortlist is a little light and you'd like to see a wider selection of puppy names for little boys, simply click on the link where you'll find lots more waiting for you!